Located in Melbourne, Victoria, The University of Melbourne was founded in 1853 and is Australia’s second oldest university. The university is consistently ranked among the leading universities in the world, with international rankings of world universities placing it at number 1 in Australia and number 34 in the world (Times Higher Education World University Ranking 2013-2014). The 2014 Melbourne iGEM team consists of 19 highly-motivated undergraduate students and 1 postgraduate student from a range of disciplines, including biochemistry and molecular biology, chemistry, chemical engineering and bioengineering. The team’s academic and research credentials are well-tested. This year, the team comprises three of The University of Melbourne’s Chancellor’s Scholars (top 0.1% of all Australian high school students) and several team members with research experience at Melbourne’s high-profile research institutes, such as the prestigious Walter and Eliza Hall Institute, The Peter MacCallum Cancer Centre, and The Baker IDI Heart and Diabetes Institute. The team is supervised by Associate Professor Heung-Chin Cheng, Associate Professor Paul Gooley, Associate Professor Neil O’Brien-Simpson, and Dr. Angus Johnston. The Melbourne iGEM team was founded by a group of enthusiastic and motivated students in 2013. The 2013 team played a key role in establishing the foundations of this year’s team and generating this year’s project. Unfortunately many of the 2013 team members could not continue their work for iGEM in 2014, so credit must also be given to Pedro Avellar Costa, Michelle Tie, Georgina Panshem, Morgana Cerqueira, Jeong Yoon Esther Kim, Winnie Tan, Hannah Nguyen, Mary Teo, Cathy Pitt and Joyce Kant. 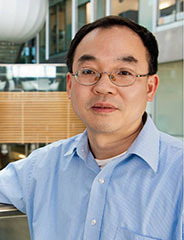 An Associate Professor with the Department of Biochemistry and Molecular Biology, Heung-Chin has been studying the biochemical basis of the regulation of protein kinases and phosphatases since he was a graduate student at the University of California in 1982. 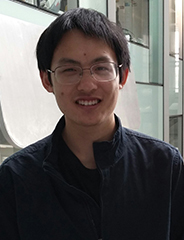 His PhD project unravelled the active site structure of c-AMP-dependent protein kinase, how the kinase recognises its protein substrates and how the kinase is selectively inhibited by its endogenous inhibitor. 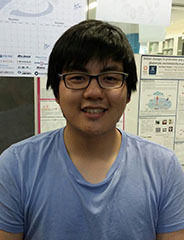 Heung-Chin was the Melbourne iGEM team’s supervisor and he kindly offered us space to work in his lab and assisted us when we had questions about practical procedures, troubleshooting or theory. Associate Professor Paul Gooley directs a structural biology research group that focuses on the application of NMR spectroscopy to elucidate structure and protein interactions. 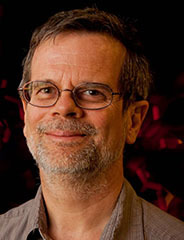 He obtained his degrees at The University of New South Wales and spent 10 years in the USA, including 5 years at the pharmaceutical company Merk and Co. Over the last 10 years his group has conducted and published NMR structural and dynamical analyses on a number of protein domains and systems that have biological functions in stress and infection, in lipid transport, in protein and membrane trafficking, and in receptor signalling. Paul assisted the 2014 Melbourne iGEM team by providing advice, answering questions and brainstorming. 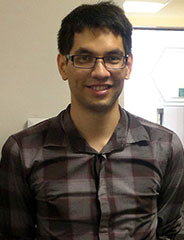 Dr Angus Johnston is a researcher at the Monash Institute of Pharmaceutical Science. 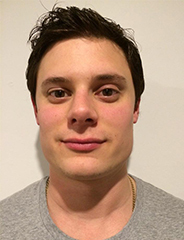 Angus is an ARC Future Fellow who’s work focuses on developing better ways to deliver drugs, making them more therapeutically active and limiting side effects. He has extensive knowledge and expertise in nanomaterials assembly, material characterisation, cellular interactions and advanced imaging techniques. 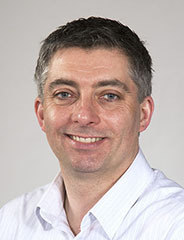 Angus’ research interests include targeted vaccine therapy, sensors for cellular imaging, understanding cellular processing of nanoparticles, self assembling peptides as drug carrier and the toxicology of nanomaterials. Angus assisted the 2014 Melbourne iGEM team by providing advice, answering questions and brainstorming. 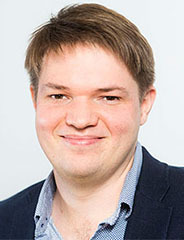 Associate Professor Neil O’Brien-Simpson is a researcher at the Royal Dental Hospital in Melbourne and has an interdisciplinary background, combining organic and peptide chemistry with immunology to develop novel vaccines and therapeutics and investigating the immune response to pathogens. His research into vaccine design and periodontitis has resulted in Neil being awarded the Colgate Prize for Dental Research (1999), The IADR Hatton Award (2000) and the Oral Biology Award (2003). In 2004 he became program co-leader for the Novel Diagnostics, Vaccines and Pharmaceuticals Research Program in the Oral Health CRC. Neil assisted the 2014 Melbourne iGEM team by providing advice, answering questions and brainstorming. 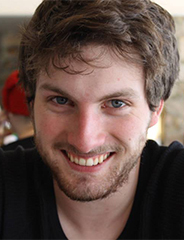 Sean started the 2014 Melbourne iGEM team while completing his Master of Engineering in chemical engineering. As the team leader, Sean was responsible for communicating with supervisors and sponsors, setting up the lab, and making sure the team ran smoothly. Sean is passionate about science and saw iGEM as an amazing opportunity to combine his interests in chemical engineering and biotechnology. He found that the best part of iGEM was the creative process, and thoroughly enjoyed discussing many great ideas with his bright and capable teammates. He looks forward to passing on the torch to the next generation of Melbourne Uni iGEMers. 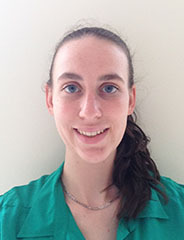 Elizabeth is in her second year of the Bachelor of Biomedicine degree and is majoring in Immunology. In the future Elizabeth hopes to continue to develop her passion for research while studying postgraduate medicine. Elizabeth was new to iGEM in 2014 and contributed to Melbourne’s iGEM project by working in the laboratory, developing protocols and performing various administrative duties. For Elizabeth, the most enjoyable aspect of iGEM was getting hands-on experience while meeting like-minded people. In her free time Elizabeth enjoys playing netball and discovering new restaurants with friends. Peter is in his final year of the Bachelor of Science at The Australian National University in Canberra and is majoring in Science Communications, as well as completing his first year of the Bachelor of Environments at The University of Melbourne. In the future, Peter aims to work on The Human Variome Project, develop the iGEM competition in Australia and work for UNESCO. Peter joined the Melbourne iGEM team in 2014 and was in charge of human practices and outreach, working to establish relations with high schools in Melbourne for on-going public outreach efforts in the future. As such, Peter has enjoyed getting an insight into managing science innovation teams and the tremendous array of challenges that accompany this. In his spare time, Peter enjoys learning about esoteric topics that may have unrealised commercial applications. 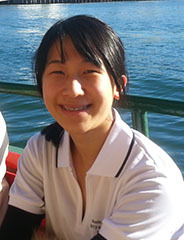 Sheryl is in the first year of a Bachelor of Biomedicine degree and is hoping to major in Bioengineering Systems. In the future, Sheryl would like to work in biomedical research, preferably specialising in engineering or molecular and cellular biology. After joining the iGEM team in early 2014, Sheryl contributed to the laboratory work and some administrative tasks for the project. Sheryl enjoyed all aspects of this experience, but particularly the opportunity to gain practical insight into laboratory research and meet the people on the iGEM team. Outside of science, Sheryl enjoys visual art and watching TV shows. As a second year student of the Bachelor of Science with a major in Microbiology and Immunology, Robyn hopes to undertake a masters and PhD, specialising in infectious disease research. 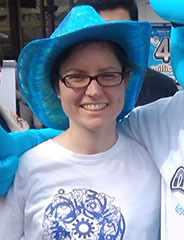 After joining the team in March 2014, Robyn contributed to the team with her work in the laboratory, research into cysteine bond formation and computational protein design analysis, and public outreach activities. Robyn has enjoyed experiencing a group research environment and learning some very useful practical laboratory skills. In her free time, Robyn loves to read cutting edge infectious disease research and playing soccer. 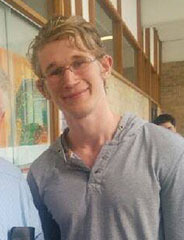 Tobias is in his second year of the Bachelor of Biomedicine degree and is majoring in Immunology. In the future Tobias hopes to study medicine and continue to pursue research in immunology. Tobias was new to iGEM in 2014 and contributed to the theoretical design and research of the team’s project. iGEM presented Tobias with the opportunity to finally partake in the laboratory work that he had heard so much about in lectures. Henry has just completed his Honours year for the Bachelor of Biomedicine and in the future he hopes to undertake a PhD and work in Melbourne’s bustling medical research sector. 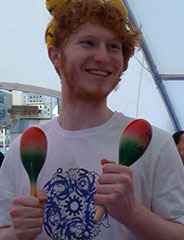 After joining the iGEM team in February 2013, Henry predominantly contributed to the theoretical design of the project. He most enoyed having access to resources that have allowed us to undertake serious scientific research of our own design. 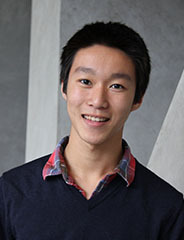 Outside of iGEM, Henry is a black belt in Tang Soo Tao and enjoys planting trees and completing jigsaw puzzles. 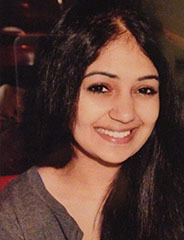 Aishwarya is in her second year of the Bachelor of Science and is majoring in Biochemistry and Molecular Biology. Her future plans include completing a PhD and research in the area of translational bioinformatics and personalised medicine. 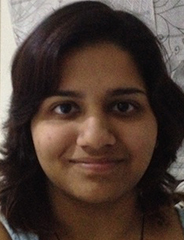 As part of the Melbourne iGEM 2014 team, Aishwarya contributed to laboratory and budgeting tasks. She enjoyed both the atmosphere of the team and the challenges with which we were confronted when trying to work independently to solve problems. Outside of iGEM, Aishwarya also enjoys playing tennis. 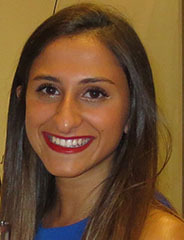 Ranit is in her final year of the Bachelor of Science degree and is completing her major in Chemistry. 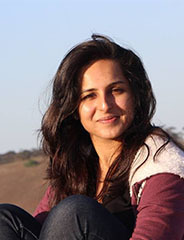 Ranit joined the Melbourne iGEM team in early 2013 and has contributed to many facets of the project, including laboratory work, administration and human outreach. As a consequence, Ranit has really enjoyed the chance to meet new people while learning research and laboratory skills. When not working on iGEM, Ranit enjoys reading books, playing tennis and hanging out with friends. Jeffrey is in his first year of the Bachelor of Biomedicine at The University of Melbourne and in the future he would like to become a medical practitioner or researcher. 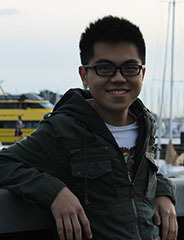 After joining the Melbourne team in July 2014, Jeffrey helped out in the laboratory work and the iGEM website. Jeffrey found it incredibly rewarding when we finally saw some promising results after putting so much time and effort into the project. In his spare time, Jeffrey likes to play the piano and compose symphonic music. Melissa is in her final year of the Bachelor of Science and is completing a major in biochemistry and molecular biology. Competing in her first iGEM jamboree in 2008, Melissa joined the current team in 2013 and has contributed to project design, administration and human outreach. Through this experience Melissa has enjoyed making life long friends and facing the challenges of being part of a student run team. Melissa wishes to pursue a career in Medical Technology and in her spare time she enjoys reading and travelling. Keit is in his final year of the Bachelor of Biomedicine and is majoring in infection and immunity. Since joining the Melbourne iGEM team in early 2014, Keit has mainly contributed to the laboratory work for the project and he has enjoyed that this has given him a good understanding of what working in research would be like. In the future, Keit would like to pursue this passion and work towards a PhD and university lecturing. Outside of iGEM, Keit works on projects with high school students and enjoys chilling with friends and kicking back with some video games. 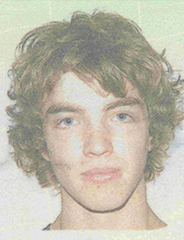 Darcy is in his second year of the Bachelor of Science degree and is majoring in Microbiology and Immunology. 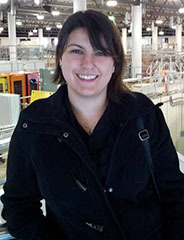 Darcy hopes to pursue research in these exciting fields after completing an honours year. After joining the team in early 2014, Darcy predominantly worked on laboratory work for the project and enjoyed the practical experience that he gained. 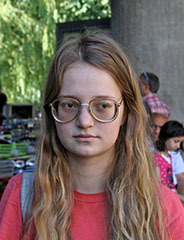 Gayle is in her final year of the Bachelor of Science and is majoring in Pathology. In the future Gayle hopes to pursue a career either as a clinical pathologist or secondary school teacher. Gayle joined the iGEM team in 2013 and was the senior laboratory leader for the group, tirelessly working and teaching others in the laboratory. Working on the project, Gayle appreciated gaining the laboratory experience that she requires for her future ambitions. In her free time Gayle enjoys supporting her team in the Australian Football League and doing handicraft-based hobbies. Lumi is in her first year of the Bachelor of Biomedicine at The University of Melbourne and is planning on majoring in Microbiology and Immunology. With a desire to learn more about synthetic biology and the microscopic world around us, Lumi joined the team in Spring 2014. Lumi has contributed to the team by performing lab work and she has really enjoyed learning a lot of new practical techniques. She has also enjoyed discovering many of the possibilities of synthetic biology by researching past projects undertaken by iGEM teams. Outside of iGEM and science, Lumi enjoys visual art. Michael is in his first year of the Bachelor of Biomedicine and plans on majoring in neuroscience. Michael was new to iGEM in 2014 and worked primarily in the laboratory and designing primers. Michael is interested in working towards a career in neurosurgery or cancer tumour research, looking specifically at the epigenetic mechanisms underlying cancer regulation. As part of the iGEM team, Michael has enjoyed meeting like-minded individuals who share similar interests. Michael is fascinated by marine life and enjoys reading in his leisure time. 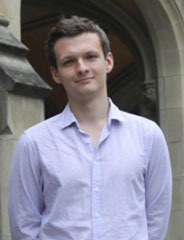 Although Stanislav started studying his first year of a Bachelor of Biomedicine at The University of Melbourne, he has now commenced study at The University of Oxford reading Biochemistry. Stanislav joined the Melbourne iGEM team in March 2014 and contributed greatly to the theoretical project design and laboratory work. After moving to Oxford, Stanislav also facilitated communication between our team and the Oxford iGEM team. In the future, Stanislav would like to pursue research in Biochemistry and he has appreciated the amount of experience he was able to gain in such a short time while taking part in iGEM. Outside of Biochemistry, Stanislav enjoys playing football and procrastinating his study. Nicholas has just completed the Honours year of his Bachelor of Biomedicine degree, studying novel pathway inhibitors to elucidate mechanisms of brain tumours. He plans to continue his research into brain tumours by undertaking a PhD and potentially studying medicine. After joining the team in 2014, Nicholas enjoyed helping the younger students in the team by teaching them new laboratory techniques and troubleshooting their experiments. When not in the laboratory, Nicholas enjoys hanging out with friends and playing badminton. Michelle is in her second year of the Bachelor of Science and is undertaking the Biochemistry major. At the completion of her degree, Michelle seeks to pursue further research through the honours or masters programmes. 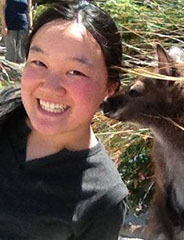 Michelle joined the Melbourne iGEM team in 2014 and completed many hours of laboratory work contributing to the project. Being part of a team dedicated to science, the laboratory work and the challenge of overcoming troubleshooting problems were the aspects of iGEM that excited Michelle most. In her free time she enjoys playing the violin. 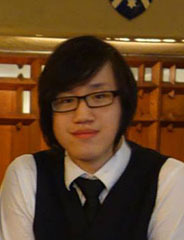 Wayne is in his first year of the Bachelor of Biomedicine and hopes to eventually major in Human Structure and Function. In the future, Wayne would like to continue his involvement in biomedical research while also studying and practising medicine. 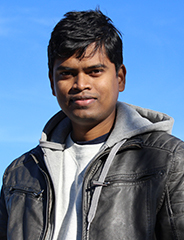 In contributing to the 2014 Melbourne iGEM team Wayne performed laboratory work as well as some theoretical research. Wayne loved learning new techniques in the laboratory and reading into a wide range of research topics. A special mention must also be made to our Honours, Masters and PhD student advisors in the Cheng Lab who tirelessly and patiently assisted with our troubleshooting and planning of experimental procedures. These students were: Ashfaqul Hoque (PhD student), Gahana Advani (PhD student), George Cao (Masters student), Ken Ang (Honours student) and David Zula (Honours student). Many thanks also go to Sze-Ting Bong and Anna Gakusurudoi, Masters students in the Cheng lab whose assistance with practical methods was extremely helpful.